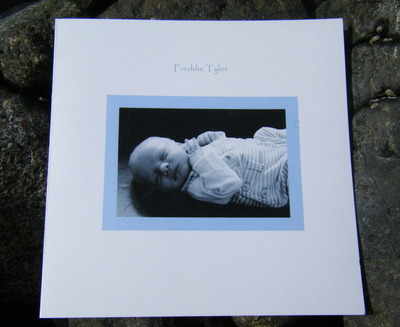 A photo will be scanned onto the card and choose your own wording on the outside and inside. Photos will need to be e-mailed to rachel@pinkpeartree.co.uk where pictures can be cropped and changed to black and white. An image of the final card will then be e-mailed back to you prior to the card being printed.